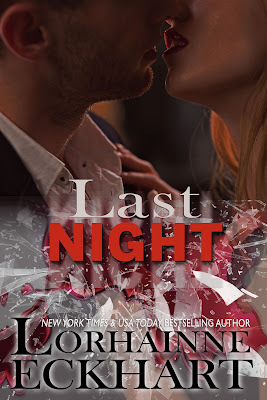 New York Times & USA Today Bestselling Author Lorhainne Eckhart brings you LAST NIGHT, the next book in Kate and Walker: Deadly, Dangerous & Desired a high-stakes suspense and sizzling, red-hot romance series! 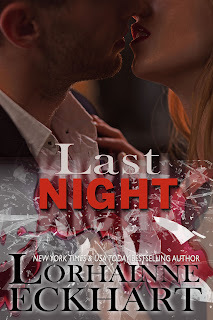 The adventure continues for Kate & Walker in LAST NIGHT as Walker proposes marriage to Kate realizing he can’t live without her. Only an intruder from Walker’s past puts both Kate’s life and his relationship with her, in jeopardy. 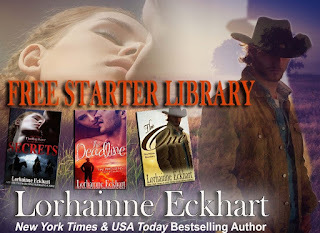 New York Times and USA Today bestselling author Lorhainne Eckhart’s books have been described as Longmire meets old-school Dallas, and she recently received the 2015 & 2013 Readers’ Favorite Award for Romance & Romantic Suspense for her titles The Price to Love and Lost and Found. With over forty titles under her belt, her big family romance series are loved by fans worldwide. Books that celebrate love, family, commitment, hope, and making a relationship work. With flawed strong characters, characters you can relate to. Lorhainne writes the kind of books she wants to read. She is frequently a Top 100 bestselling author in multiple genres, such as romance, western, military and mystery/suspense. 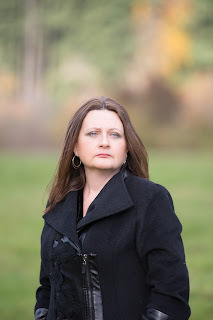 She has written multiple series, including The Outsider, Walk the Right Road, The Wilde Brothers, Saved, The Friessens, and her two newest additions, Married in Montana, and her high-stakes suspense and sizzling, red-hot romance series, Kate and Walker, Deadly, Dangerous and Desired.